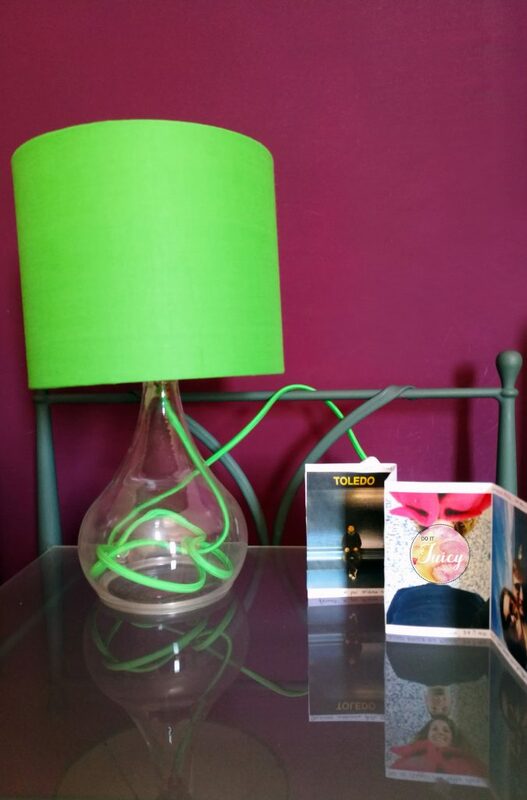 Pimp your Lamp, easy DIY project : restyling in progress of an old lamp . During the last three days i was syck at home. Finally i had time for myself off from the office and i worked to my blog next steps. During the planning process i wrote a list of “thing to do” . 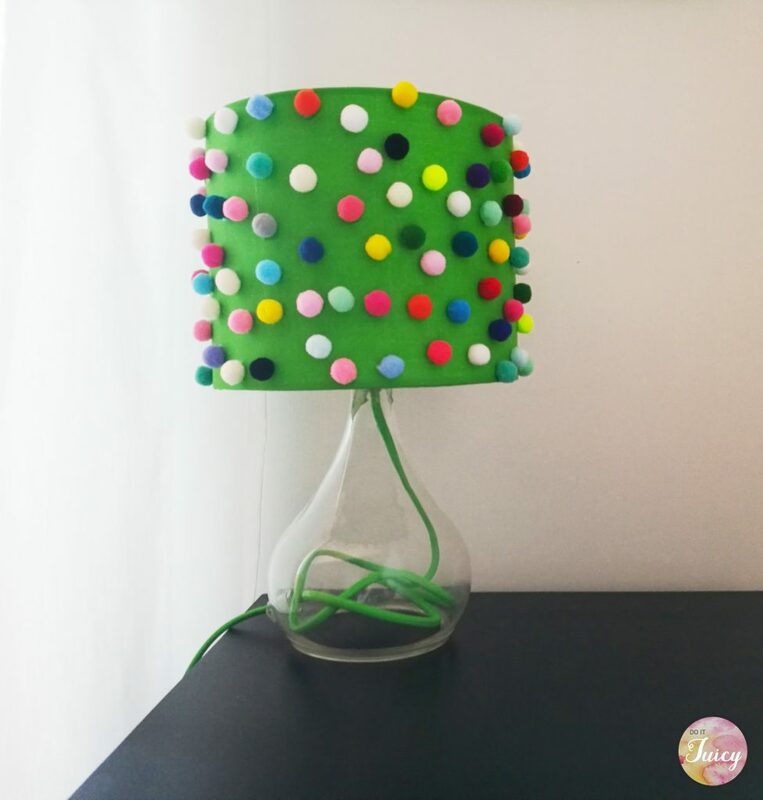 One was the idea for a restyling of the bedroom lamp on my husband side, the lamp is 6 years old and needed a new suit. 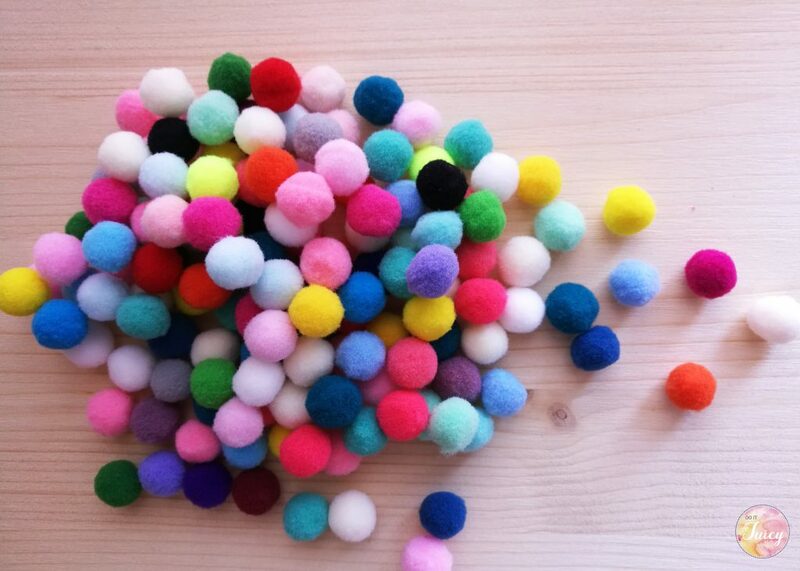 The idea came when i found out “tons of felt pom poms” unused in a drawer of my room… they looked very sad. 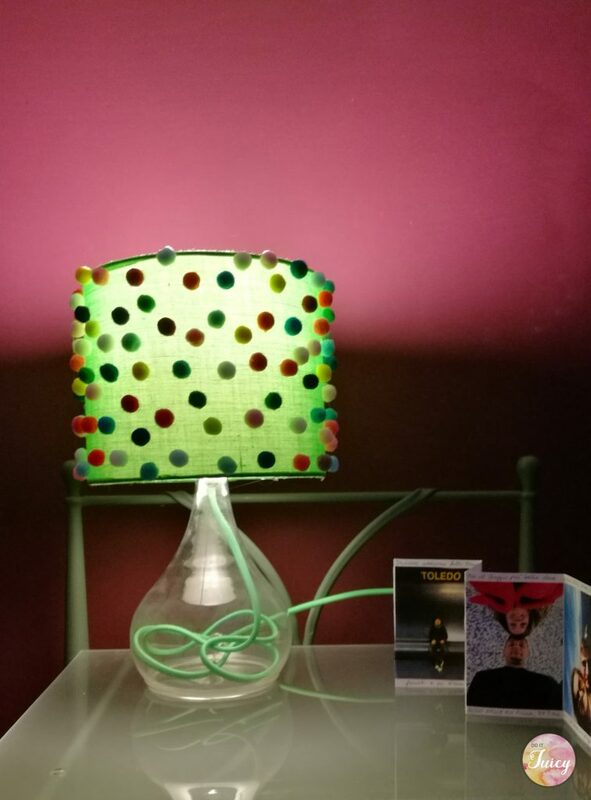 So, I had time to play and to Pimp my lamp! The idea is very easy to make, you just need to arm yourself with hot blue and a little bit of patience. Do you think my husband Simone will like my new “pimp project”? I can also suggest you another different solution to “pimp your lame”. Instead of pom poms you can use small roses. You can make by yourself tons of small roses, just have a look at the tutorial here. The lamp i used is from Zara Home. Feel free to share this idea, please leave a comment if you liked it. ps. There’s a trick on the first picture, did you find it?